Iconic Canadian Reggae Artist, Snow celebrates the 25th Anniversary of his 90’s No. 1 Hit “Informer” by releasing an exciting new version on Radikal Records. Darrin Kenneth O’Brien, the Canadian reggae artist known as Snow, is celebrating the 25th anniversary of the release of “Informer”, with a completely new and re-worked recording of his worldwide Nineties No. 1 Hit. 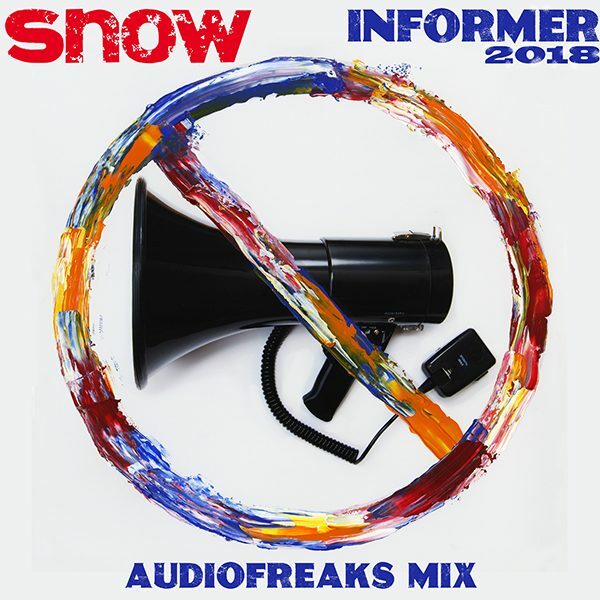 The brand new version of Snow’s chart-topping reggae single, now titled “Informer 2018 (Audiofreaks Mix)”, will be available on all digital music platforms Friday, January 26th on Radikal Records. Written by Snow, M.C. Shan, and Edmond Leary, “Informer” was the lead single from Snow’s debut album, 12 Inches of Snow, which sold over 8 million records worldwide and was certified RIAA Platinum in the U.S. and CRIA Triple Platinum in Canada. The infectious Nineties Classic “Informer” made U.S. history in the Guinness Book of World Records as the best-selling and the highest-charting reggae single ever. The song’s enduring popularity has continued from 1994, where Snow won a Juno Award for Best Reggae Recording, to 2017, when he received a SOCAN Lifetime Achievement Award. For 2018, twenty five years after “Informer” dominated the charts worldwide, Snow has re-recorded his hit single for a new generation. To re-launch the track, Snow teamed up with one of the UK’s hottest production teams, Audiofreaks. The award winning London-based group is home to producers such as DASCO and Soulshaker, the latter of which recently hit #1 on the Billboard Dance Club Chart in 2017 co-writing and producing Canadian music legend Deborah Cox’s hit, “Let the World Be Ours Tonight.” With Audiofreaks’ fresh new spin on Snow’s reggae phenomenon, “Informer 2018” is set to make waves on music charts around the world again. Following the debut of “Informer 2018”, fans can expect to hear exciting remixes in the months to come from other critically acclaimed music producers as Snow’s new version of “Informer” kicks off the new year with a bang for his re-entry in the industry.